The UK pharma group says a $54 bln proposal from U.S. suitor AbbVie is potentially acceptable. The 50 pct premium reflects the value of tax synergies and the recommendation needed to achieve them. AbbVie will doubtless prevail if its share price holds, and there is no counterbid. 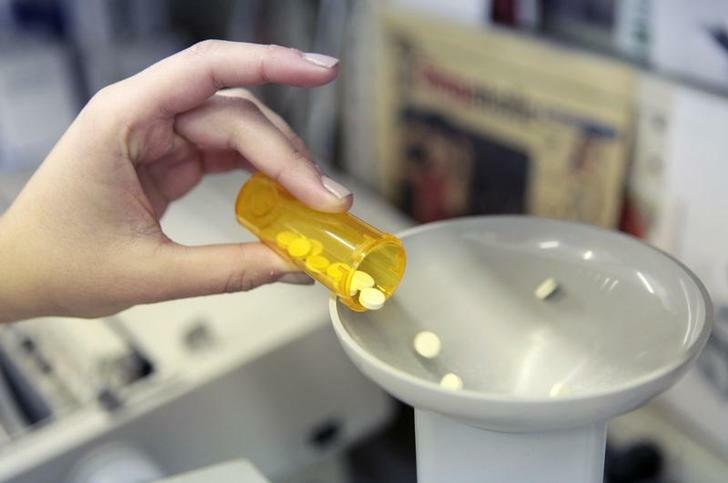 A pharmacy employee dumps pills into a pill counting machine as she fills a prescription while working at a pharmacy. The proposed offer, AbbVie’s fifth, valued Shire at an indicative level of 53.20 pounds per share, and comprised 24.44 pounds per share in cash, and 0.8960 shares of AbbVie, Shire said. Shire’s share price rose 1.45 percent to 49.4 pounds per share in late morning trading on July 14.